Watch Reining Futurity Live online today! 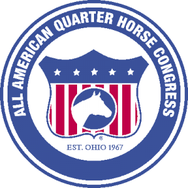 The last big day of reining at the All American Quarter Horse Congress is today (not counting the freestyle). If you would like to watch the big futurity this afternoon, the Open finals start at 5 pm. To watch you can visit www.oqha.com and click ‘watch live’. I love your blog, and have so much respect and admiration for you! I’ve been a fan and follower of yours for many years, and always enjoy your videos, training tips, and humor. But futurity is one of the horse-related things that I’m against, because the horses are under saddle at far too young an age. According to “The Ranger Piece” by Dr Deb Bennett, no horse of any breed is skeletally mature until at least five years old. Their growth plates do not close until then, especially those in higher joints, like the spine. Starting horses too young results in joint issues later, including arthritis, and usually forces early retirement. Too many horses are on joint supplements in their early teens, when they could easily have led healthy, sound and productive lives into their late twenties. I hope you’ll read the article, and share it with your colleagues and readers. Thank you!